In announcing the first ‘Ikea Boot Camp’ to support start-up businesses, Ikea said it is looking for those start-ups focused on different areas of food innovation such as urban farming, healthy eating, new ingredients, food conservation, virtual reality food tasting and sustainable sourcing. Any company from across the world can apply for the boot camp so Australian start-ups are encouraged to apply. The boot camp will be held in Almhult, Sweden from September – December 2017. Those accepted into the camp will provided with a 20, 000 EUR grant, free housing, office space, mentorship and start-up classes. 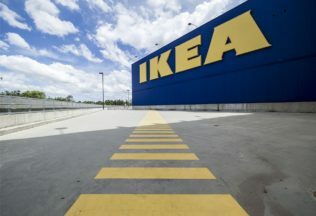 Ikea will not take any stake in the businesses involved in the program, but may invest in them or become a customer if interested. Start-ups interested should be able to help solve Ikea’s “Big Problems” through their work which involves providing affordable, accessible and sustainable product. Companies can apply for the program through the Ikea Boot Camp website by 6 August 2017.